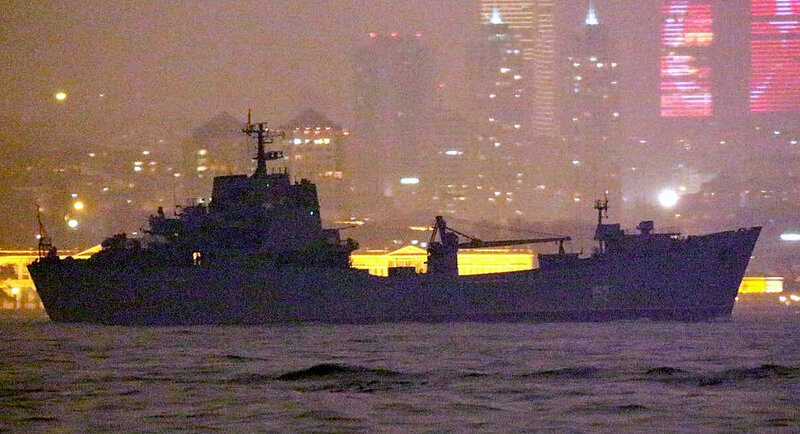 Nikolai Filchenkov returned from her Syrian deployment and passed through Turkish Straits in one day. Probably they were in a hurry to be at home before the Christmas. Photo: Yörük Işık. Auxiliary cargo ship Dvinitsa-50 made her southbound passage with at least six 40 feet containers on board. 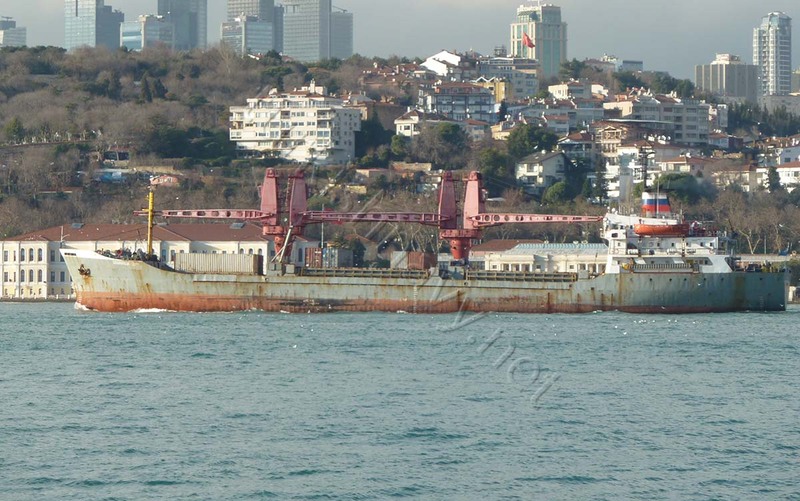 Auxiliary cargo ship Kazan-60 returned from her Syrian Express deployment along with the tug SB-5. Photo: Alper Böler. 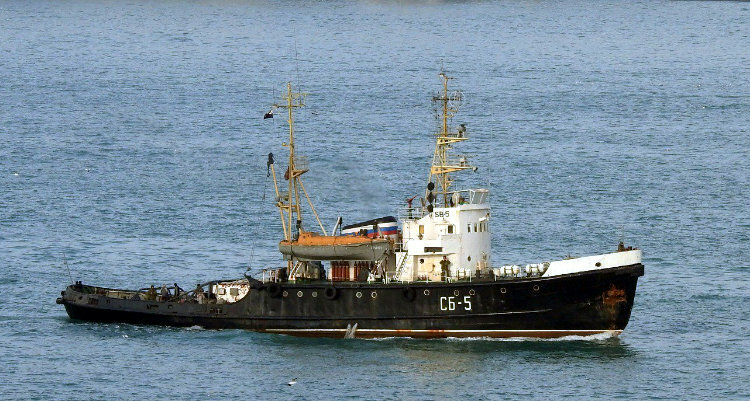 Tug SB-5 escorted Kazan-60. Photo: Alper Böler. Alexander Shabalin was the first Ropucha to pass through the Turkish Straits. 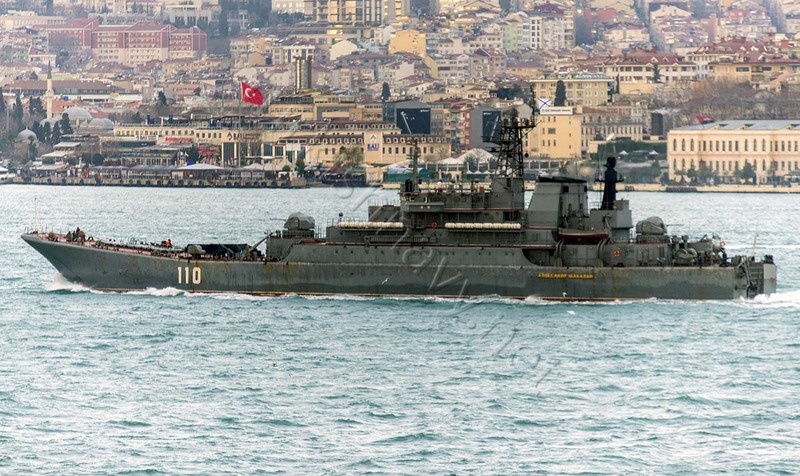 The first foreign warship to pass through Turkish Straits in 2017 was the small Romanian Border Guard vessel MAI-1102. She went south to take part in EU naval operations. Photo: Alper Böler. FOR THE END OF THE STORY THIS WATERWAY IS VERY DISPERSE AND USED OF EVERY NAVY IN THE WORLD.